DID BALTIMORE COUNTY POLICE VIOLATE THE CONSTITUTIONAL RIGHTS OF KORRYN GAINES? 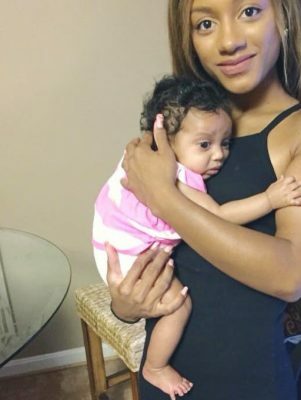 Ever since Korryn Gaines, 23, was killed in her home in Randallstown, Maryland earlier this week, a number of black women have taken to social media to express their concerns that black men seem unconcerned when black women are killed during law enforcement encounters. While some black men have chosen to take exception and engage in a rhetorical war with respect to these assertions, as a black man and lawyer, I felt that my energies and expertise would be better suited to argue what I and many Americans already believe, which is that Gaines, 23, and a mother of two children, had her constitutional rights violated by law enforcement. One of the most frustrating aspects of being a black lawyer is hearing judges recite the mantra that all citizens are to receive equal justice under the law, while knowing full well that such often is an illusory concept with respect to blacks. Police officers are presumed to know that the Fourth Amendment to the United States Constitution generally protects citizens against unreasonable search and seizures. While the police have to secure a warrant to enter into someone’s residence, federal and state courts have further recognized that officers must utilize a “knock-and-announce” rule that, in theory, protects the security, privacy, and property interests of people in their homes. Now, there are exceptions to this rule, most notably that if officers believe that forcible entry is necessary to apprehend an armed individual suspected of committing a violent felony offense, they can burst into a residence or in some drug cases, if police fear that the occupants will destroy evidence, they can burst into a residence. But with respect to Gaines, she was neither a violent fugitive or suspect nor a dope dealer; the warrants that were being served on Gaines were for misdemeanors. As such, one must question why the police obtained a key from her landlord and attempted to enter her residence despite not having the aforementioned exigent circumstances? Now, it is important to note that Gaines had a prior encounter with law enforcement that has been uploaded to YouTube where she questioned their authority to draft tickets or otherwise detain her. Whether the officers who went to her apartment to serve the misdemeanor warrants knew this in advance has yet to be determined, but according to reports in the Baltimore Sun, when they used the key, the chain latch prevented their entry and at that point, officers kicked the door in, allegedly observed Gaines pointing a shotgun at them, and backed out of the apartment. After an hours long standoff, a SWAT officer shot and killed Gaines and wounded her five year old son. It has been very frustrating to read comments on both social and traditional media where people have dismissed Gaines death as being her fault because “she was crazy” or because she did not follow commands from the police. First, while rarely discussed, under common law, citizens have a right to resist unlawful commands from law enforcement up to and including deadly force. 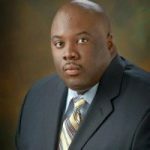 Knowing that Gaines often spoke out against bad police practices, how do we know for certain that Gaines was not in fear that law enforcement was there to retaliate? For those who would answer this question by suggesting that had she just complied, that she would be alive, I remind that Cliven Bundy’s followers, most of whom were white, did not comply with orders to remove themselves from federal property and they were not shot within hours of the first commands to leave. 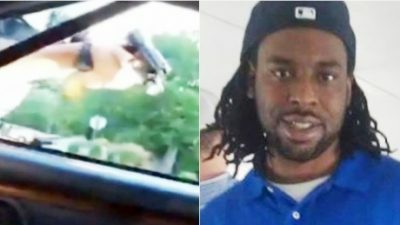 I also point out that Philando Castile’s compliance with providing his license and notifying St. Paul, Minnesota police Officer Jeronimo Yanez that he had a concealed weapons permit still did not prevent said officer from killing him. The U.S. Constitution does not provide for a fascist police state in which law enforcement officers are endowed with a right to kick down doors, shoot first and ask questions later. The Framers of the Constitution were absolutely opposed to such unfettered authority based upon their experiences of unreasonable searches and seizures by the British government during the colonial era. 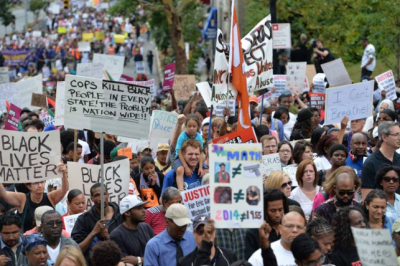 But with the issue of police encounters with private citizens having become politicized, with the Black Lives Matter Movement championed by progressives being countered by conservatives who insist that there is a war on the police, it is vitally important that law enforcement officials are forced to follow the letter of the laws that govern their rights and responsibilities in all situations, but especially where the potential use of deadly force is concerned. I sense that had such caution been used this week, if the police had allowed Gaines’s mother, Rhonda Dormeus, to speak with her daughter or had crisis negotiators been given more time to quell the situation at Korryn Gaines’s apartment, that she most definitely would still be alive and not yet another hashtag clamoring for justice. One Response to DID BALTIMORE COUNTY POLICE VIOLATE THE CONSTITUTIONAL RIGHTS OF KORRYN GAINES?